HAPPY DONABE LIFE - Mrs. Donabe's Rustic Japanese Kitchen: Back in Japan (May 2011)...Camille Giroud in disguise? Back in Japan (May 2011)...Camille Giroud in disguise? I encountered this “rare” 1996 Volnay by Camille Giroud while I was back in Japan. The producer’s name is labeled as Guerin et Blois, but when you pull the cork, it’s Camille Groud’s cork! This is because Camille Giroud sold the remaining 1996 Volnay in their cellar to a Japanese merchant through a courtier (middleman) under the condition that they are re-labeled under a different name and would be sold only by the same merchant. But none of them wre re-corked. It was a very nicely matured Volnay with the classic minerally aroma, and hint of tobacco. The palate was very smooth. 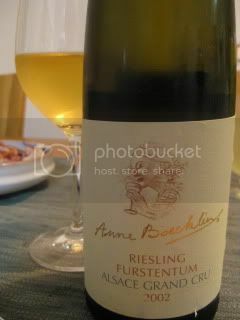 2002 Vigneron Kientzheim Kayesersberg (Anne Boecklin), Alsace Grand Cru Riesling “Furstentum”…Very ripe and rich. Supported by a lots of minerals and acidity. 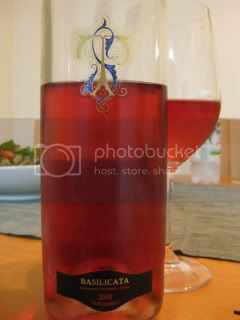 2010 Terre Degli Svevi, Re Manfredi Rosato di Basilicata…100% Aglianico. Super juicy with a lot of berry flavors. Wonderful aperitif. 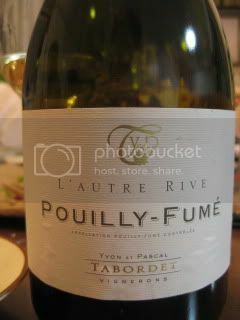 2008 Domaine Yvon et Pascal Tabordet, Pouilly Fume, Cuvee L’Autre Rive…Only 3,000 bottles are made every year. Herb, dry fruit, minerals. Reminding serious Chablis. 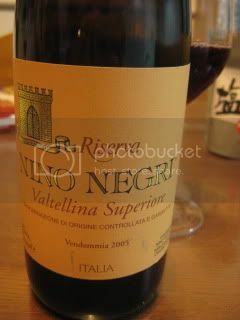 2005 Nino Negri, Valtellina Superiore Riserva…By one of the most reputed producers of Lombardia. Ni no Negri owns vineyards in all 4 crus of Valtellina. Aged for 42 months (36 months in Slovenian oak + 6 months in bottle). Dry herb, raspberry, spice, rich and smooth palate. Complex and long finish. Very nice.